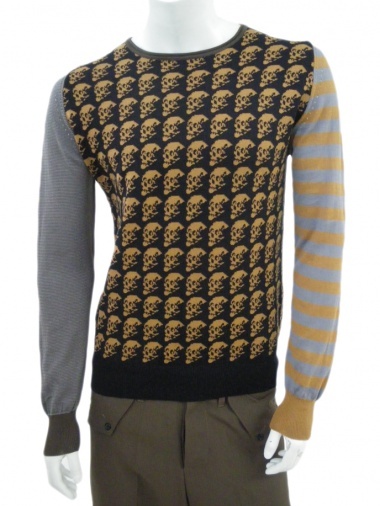 Long sleeve knit sweater with Skulls 88% Viscose 12% Silk by Angelos-Frentzos - Clothing Men Knitwear On Sale. Round neck sweater, in cotton multicolour yarn, with different kind of weaving tecniques : front in jacquard working skulls design, striped left sleeve, falt right sleeve and back. Cuffs in contrast.